Apple is expected to unveil a new iPhone on Wednesday -- a cause for celebration for the throngs of iFaithful. But on Wall Street, Apple's stock has become something less than iXtradordinary. It's boring. A laggard. Dare I say, a has been? Apple (AAPL) stock is up just 2% this year. Meanwhile, the Dow and S&P 500 have both gained more than 6% year-to-date. Tech rivals Amazon (AMZN) and Facebook (FB) have gained 15% and 20% respectively in 2016. Both have stolen a bit of Apple's thunder. So has Google (GOOGL) parent Alphabet. The Android maker's stock is up nearly 25% in the past year and is not far from its record high. What's more, Apple's stock fell nearly 5% in 2015. So even though shares are slightly higher this year, they are still lower than where they were at the end of 2014. And the stock is about 20% below its all-time high from April 2015. Why is Wall Street no longer infatuated with Apple? It's become too predictable. The stakes are very high for Apple. The company even finally activated its long dormant Twitter account last week -- replacing the generic Twitter egg with the Apple logo as its icon and adding the images from the promotional material for the 9/7 event in the background. It tweeted an ad as well -- although the promoted tweet doesn't actually appear on Apple's Twitter page. There have been lots of rumors about the iPhone 7 already -- so it may be tough for the company to surprise consumers (and investors) in a positive way. If anything, there may be more outrage than elation if Apple -- as expected -- dumps the headphone jack on the iPhone 7. The lack of any major innovation from Apple lately is a key reason why analysts are predicting that sales and profits for the full fiscal year (which ends this month) will be down from a year ago. Revenues and earnings aren't expected to rebound all that sharply next year either. Wall Street is forecasting a sales increase of less than 4% and earnings increase of only 8%. Investors want to see another revolutionary product. The Apple Watch is not it. 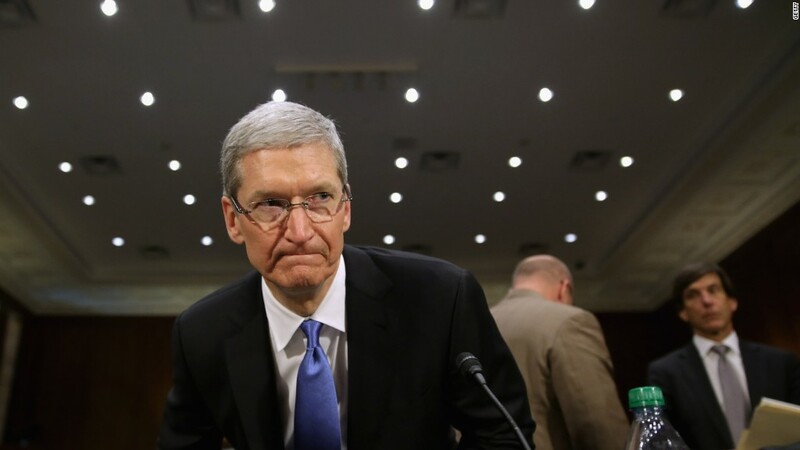 CEO Tim Cook has repeatedly promised that there is more in the Apple pipeline. But we're still waiting. It seems unlikely that Cook will have a trick up his sleeve at the iPhone 7 event that will rejuvenate interest in the stock among growth-oriented investors just yet either. And then there's the dividend. Apple's payout yields 2.1% -- more than a 10-Year U.S. Treasury bond. So Apple, amazingly enough, has become little more than a modern day AT&T (T). You buy it for the dividend. Any additional juice from earnings and sales growth is gravy...unless Cook finally unveils something truly new from Apple to get Wall Street jazzed again.